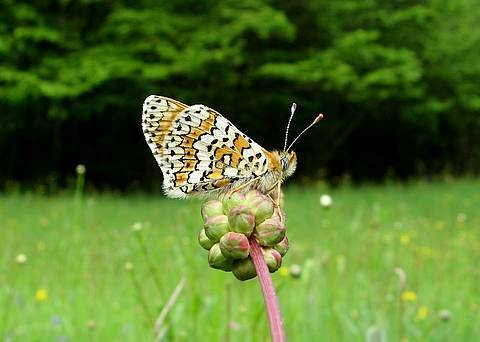 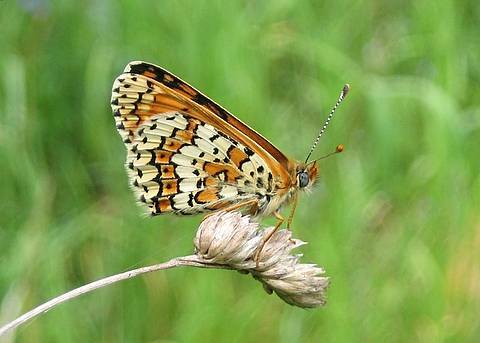 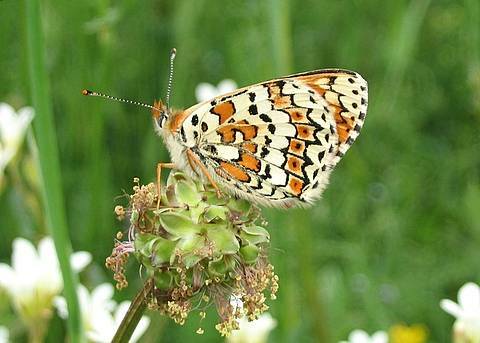 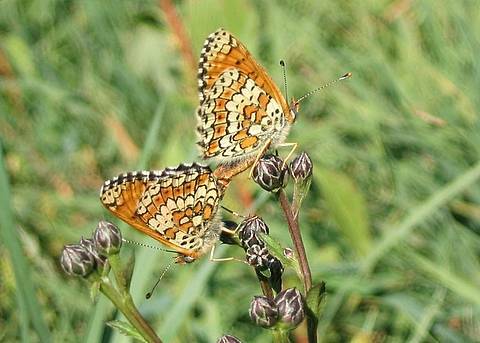 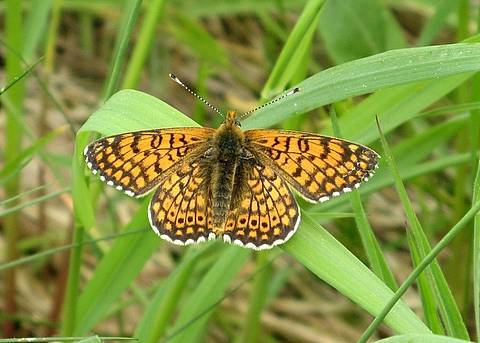 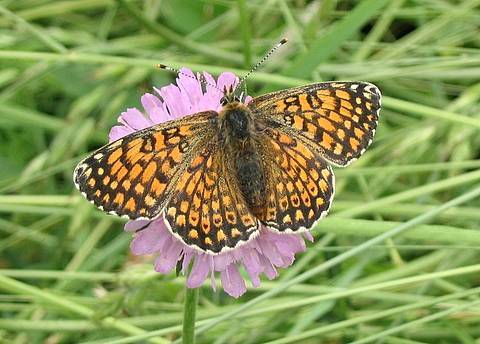 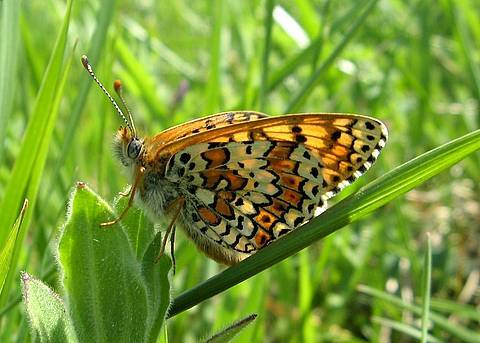 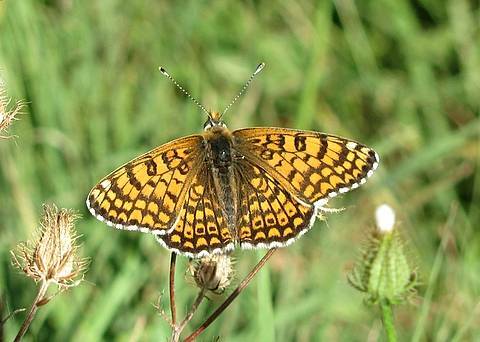 The Glanville Fritillary is one of four similar species (the others being M.phoebe, M.parthenoides and M.didyma) which share each others company in flower-rich meadows during two distinct broods in spring and summer. 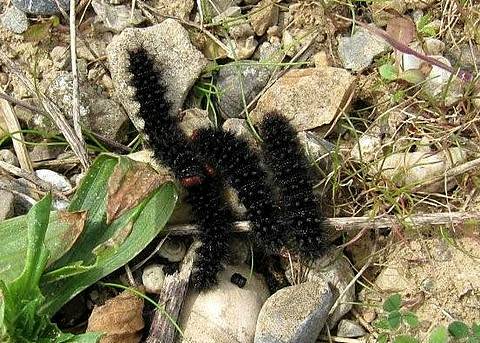 M.cinxia is the first of these species to emerge and more abundant than its close relative M.phoebe. 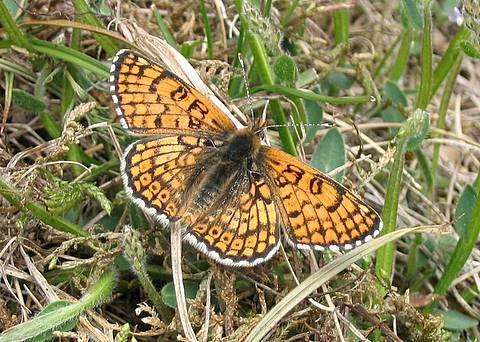 This species is easy to identify from the obvious row of black spots in the post-discal row of orange markings on the upper hindwings. 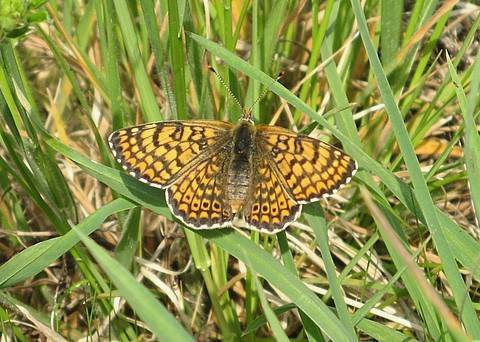 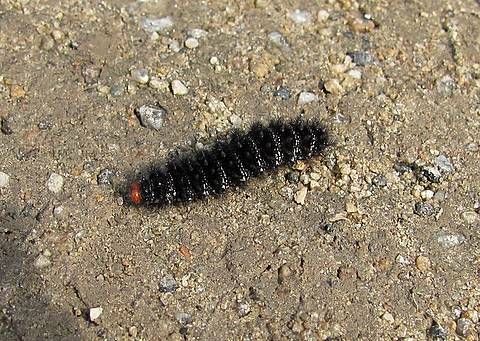 Females are usually duller than males with these black spots larger. 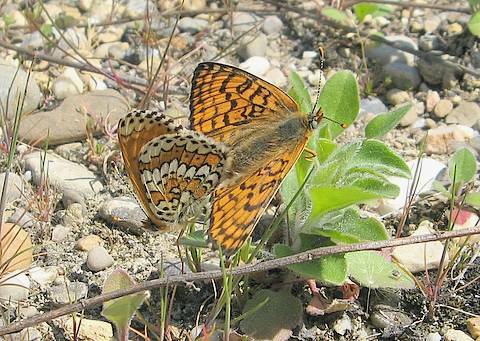 The butterfly is occasionally encountered outside of its usual habitat area, closer to gardens, in rides or in set-aside and wasteland on the fringes of urban zones.